The 14th annual Great Backyard Bird Count (GBBC) is history, and for the third year in a row more than 90,000 checklists were submitted from across North America. I am a huge fan of this count for a number of reasons, not the least of which is its genesis and continued management as a true partnership—originally between the Cornell Lab of Ornithology and the National Audubon Society, later joined by Bird Studies Canada. The Cornell Lab and Audubon have a long and productive history working together to achieve shared goals via remarkably complementary strengths. Audubon has enormous leverage to accomplish lasting conservation through its hundreds of local chapters and its many programs and centers, which bring hundreds of thousands of people closer to nature. 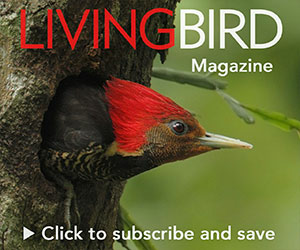 The Cornell Lab leverages its unique relationship with a world-class research university to accomplish science, training, and authoritative communication about birds and nature, all necessary for prioritizing and implementing conservation action around the world. Both of our organizations embrace “citizen science” as a powerful tool for understanding nature and engaging the world in its protection. Fourteen years ago our two organizations co-invented the GBBC—followed by its gigantic, now global, offspring eBird—as experiments, hoping to capitalize on citizen engagement and the high-speed, two-way communication provided by the Internet. The results have been nothing short of spectacular both as learning experiences for humans and as generators of enormously detailed data about birds. We envisioned GBBC as being accessible to anyone at any skill level, and we hoped that new explorers would begin to discover the wonders of observing birds. This year, as always, we were thrilled by numerous stories told by first-timers. John Lester of Myrtle Beach, South Carolina, identified an unusual-looking all-white goose as a Snow Goose, and fortunately took its picture. The species is rare in the Southeast, so he was contacted by the South Carolina reviewer, Dennis Forsythe, who identified the bird as that state’s second record of the diminutive Ross’s Goose. Not just a new discovery but hopefully a new lifelong birder! Every year I enjoy losing myself amid the limitless information supplied by GBBC’sMap Room, which we designed for easy browsing. I wish everyone would give this a try—begin with your favorite species, then branch out to those less familiar. Notice year-to-year differences, such as Common Redpoll numbers, and also some amazing consistencies across time such as the peculiarly narrow winter range of the Harris’s Sparrow. With a few clicks, anyone can ask questions that nobody ever asked before. For example, I am fascinated by the mysterious Pine Siskin: Why is its range so consistent year after year in the Southwest but so dramatically variable in the Northeast? I was also surprised by how different the winter ranges are of the two most common warblers of the Southeast (Palm and Yellow-rumped). I marvel at the continued pace of range expansion of the Eurasian Collared-Dove (try tracking this species in your area over 14 years). Of course, while still buried in snow, we northerners can enjoy seeing the unique tracks of Sandhill Cranes, Purple Martins, blackbirds, and other species already moving north with spring. Recently at the Cornell Lab we enjoyed a visit by Audubon’s new president, David Yarnold. I was immediately impressed by his vision, passion for conservation, and strength as a communicator. He reaffirmed Audubon’s commitment and focus on protecting birds, wildlife, and their habitats, stressing the remarkable connectivity of birds across the Americas. He also graciously reaffirmed to me the importance of our strong and enduring institutional partnership, as our two organizations work together to engage the world’s citizens in conserving vital natural places everywhere and the birds that live in them. Great Backyard Bird Count... Or GREATEST Backyard Bird Count?